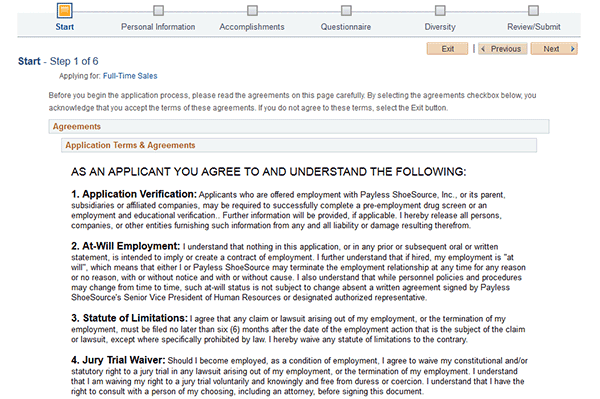 Fill out the Payless job application to apply for both corporate and retail (in-store) positions. The guide posted below outlines how to search and apply for jobs online. About the Company: Payless is a chain of discount footwear stores with more than 4,400 locations in the United States/other countries. Step 1 – Enter http://www.paylesscorporate.com/careers/ into your URL bar. 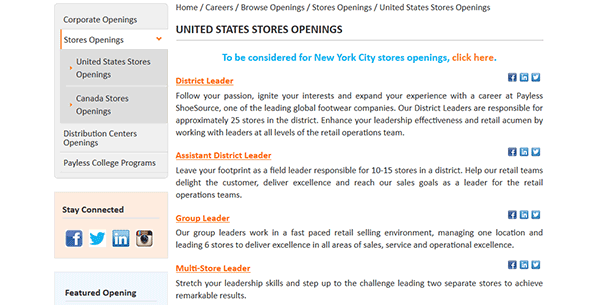 Step 2 – Scroll down the page to select which job openings to browse (e.g. corporate, stores, distribution). 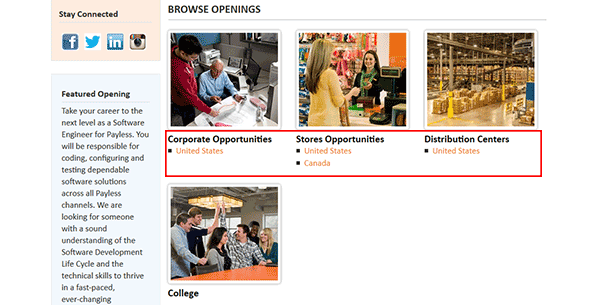 Step 3 – Select which position you’re interested in applying for to browse current openings. 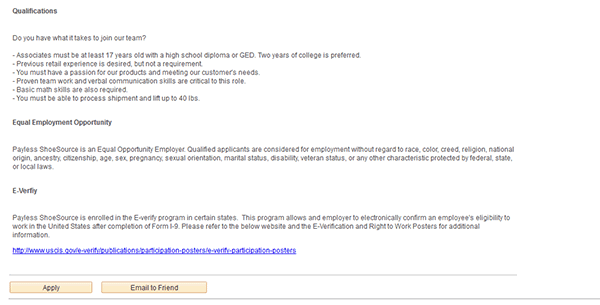 Step 4 – Scroll down the page and then press the “Apply” button. 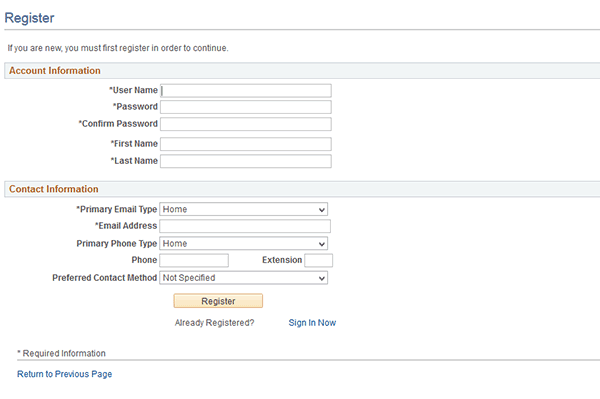 Step 5 – In order to begin the online application process you must sign in to your account (or create a new one). Step 7 – You will be taken to the six section application form. Scroll down the page, check the box (agreeing to the terms/conditions), and then click the “Next” button to go to the next section. Step 8 – Personal Information – Fill in your social security number and ALL other required details. Press the “Next” button to go to the next step. Step 10 – Review the form and then hit the “Submit” button to finish the online application process.